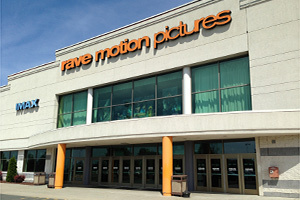 I have a part-time job at Rave Buckland Hills, Manchester CT. Yesterday, I called out sick. I was supposed to talk to a manager, but I just left the message with Angie at the Box Office. A little while later, the phone – which goes straight to an answering machine – rang, and I heard, “Marino?…Marino?…Marino?”. Well I sure as hell wasn’t gonna pick that up. So when I got in today, my GM called me into his office & said, “‘Paulie, you’ve called out an unacceptable number of days this month. 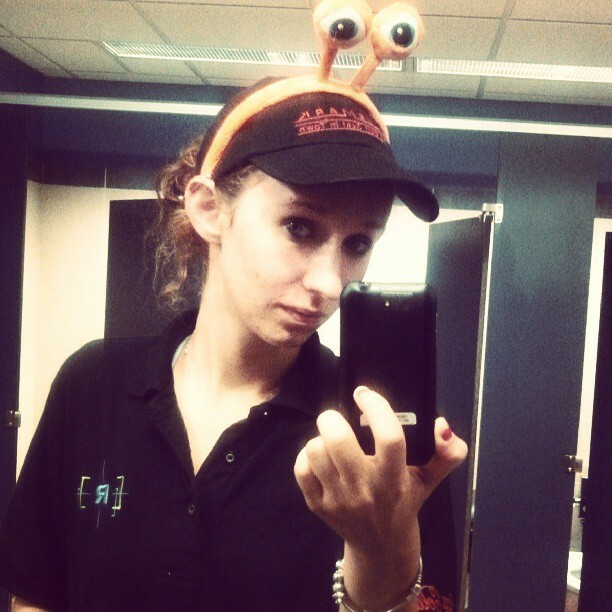 In the opinion of this Manager, you’re not taking your job seriously. Now I’ve spent my morning examining your records. If you think you can just coast through this month, you’re sorely mistaken.’ ‘This is all news to me’, I said. ‘So far this month, you’ve called out 9 times.’ ‘9 times?’ ‘9 times! Wake up & smell the coffee, Mr. Marino. 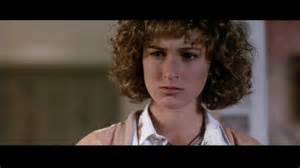 I have no reservations whatsoever about suspending you.’” It totally sucked. I just hope this doesn’t turn into Paulie Marino’s Week Off. 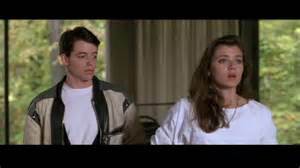 Well, I’m still there so let’s talk about John Hughes’ 1987 comedy, Ferris Bueller’s Day Off. Matthew Broderick plays Ferris, a Chicago high school senior who wants to take a beautiful summer day off. His uptight best friend, Cameron (Alan Ruck) is home sick. Ferris plans to spend the day showing him a great time in city. 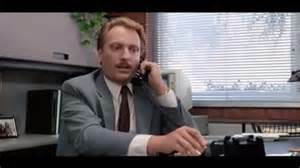 But first, he has to scam the Dean of Students, Mr. Rooney (Jeffrey Jones), so he can get his girlfriend, Sloane (Mia Sara), out for the day too. 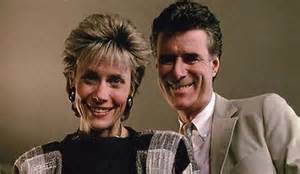 His sister, Jeanie (his future fiancé, Jennifer Grey of Dirty Dancing fame), is incredibly jealous of Ferris – their parents (Lyman Ward & Cindy Pickett) favor him, and he’s a celebrity at school. 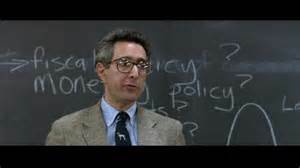 There are 2 key cameos in the picture that don’t stray far from reality: Economist Ben Stein plays The Economics Teacher; and Charlie Sheen has a “winning” role as a drug offender. 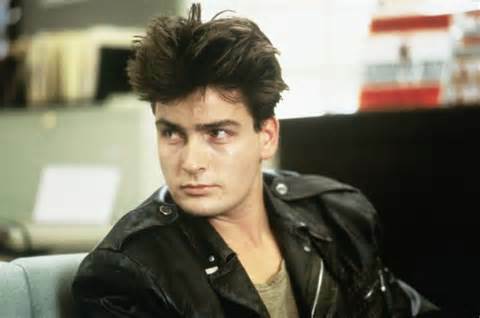 Bueller was the second film on which Hughes served as Director, Writer & Producer. 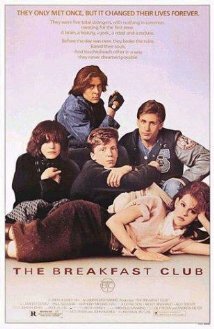 The first was The Breakfast Club. He died in 2009 having never been nominated for a Golden Globe or Oscar. Broderick, however, received a Golden Globe nomination as Ferris. Cars play as important a part in the movie as they do in real life to high school kids. If you haven’t seen the film, click on the embedded trailer at the bottom of the Blog. It will make you want to see this great picture. 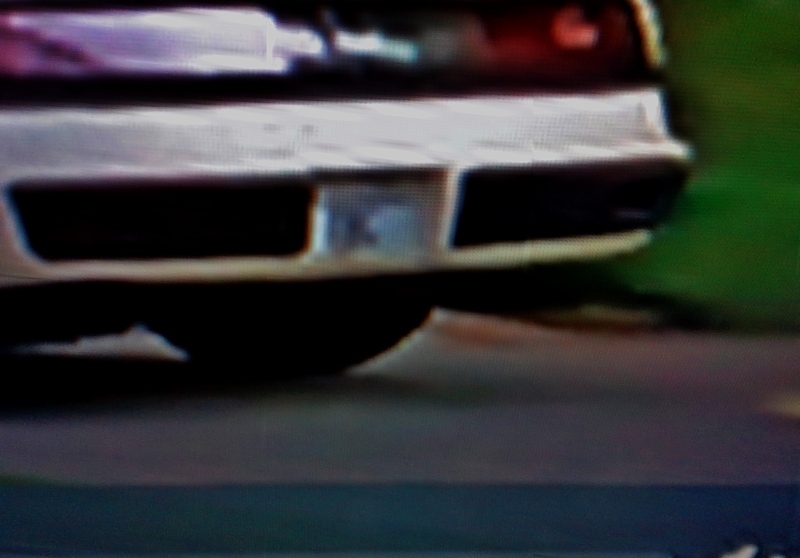 Then you can watch for the license plates. At least 4 of them are abbreviations of movies that Hughes wrote: Ferris’ Dad’s, Tom, MMOM (Mr. Mom); Ferris’ Mom’s, Katie, VCTN (National Lampoon’s Vacation); Rooney’s, 4FBDO (Ferris Bueller’s Day Off); and Jeanie’s, TBC (The Breakfast Club), which is almost impossible to spot. 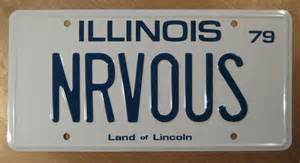 Cameron’s Dad’s car, which represents Cameron’s desire to break free from father’s control, has the license plate NRVOUS (nervous). Early on, Ferris breaks the 4th wall: A relatively rare cinematic technique where an actor looks directly at the camera & talks to the audience. 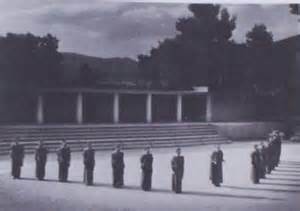 But in plays, it dates back to the very first days of Ancient Greek theater. The chorus would talk directly to the audience to explain the plot to the commoners. 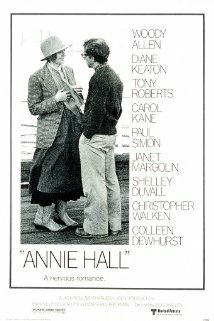 Woody Allen is renowned for breaking the 4th wall, especially in Annie Hall. 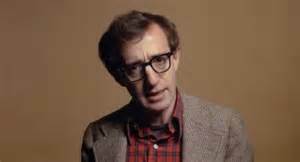 In 1995, he honored the Greeks in Mighty Aphrodite. 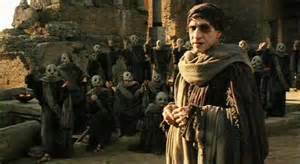 In it, a Greek chorus continually appears in Central Park & breaks the 4th wall. 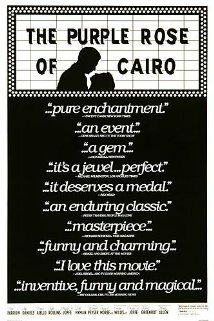 10 years earlier in The Purple Rose of Cairo, he took things further. 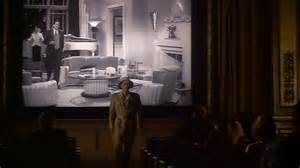 Jeff Daniels plays actor Gil Shepherd playing Tom Baxter in the movie The Purple Rose of Cairo, which Cecilia (Mia Farrow) goes to see over & over. In it, Tom jumps off the screen to meet Cecilia. 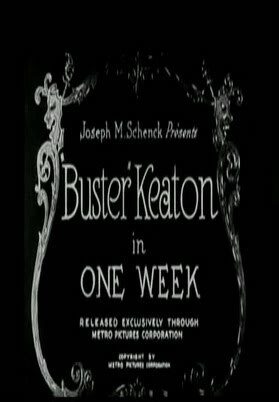 The very first film to do it was Edward F. Cline & Buster Keaton’s 1920 short, One Week. Keaton plays The Groom. 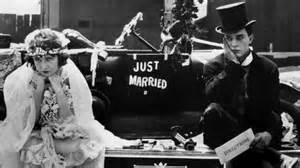 Sybil Seely is The Bride. While bathing, she accidentally dropped the soap & couldn’t get it without flashing. So Cameraman Elgin Lessley put his hand over the lens & got a direct gaze of gratitude from Sybil which was kept in. 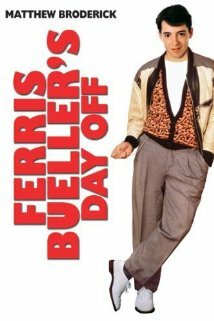 Now, if you’re ready to see Matthew Broderick break the 4th wall in John Hughes’ Ferris Bueller’s Day Off, go ahead & add it to your Netflix streaming queue, and “If you’re still there when it’s over, stay home” & watch it again! 4 Stars!